Recently I learned how to transform easily my naturally straight hair into wavy hair. I’ve been a fan of this style ever since. Firstly, because its really easy even a hair rookie as myself can do it. Secondly, its perfect for straight hair and also to cover fringe that I’m trying to grow out. Finally, you can use just your hair straightener and nothing else to achieve quite a sophisticated look. 2a) Part your hair and beginning on one side grab a little section of your hair near the scalp. Now twist one direction with the straightener in the opposite direction with the lock of hair that you’re holding. Hold it for a few seconds but not too long – don’t burn your hair. I’m using GHD hair straightener. 2b) Move your fingers and the straightener a bit further down the lock of hair. Twist both the straightener and your fingers in the opposite direction to the previous turn. 3) If you want a messy wavy look, brush your fingers through the hair. For a more polished wavy look (that what I did), use a brush. 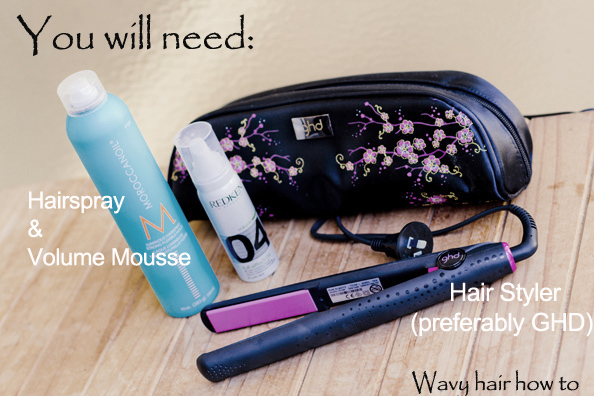 Spray the outer layer of your hair lightly with a flexible hairspray for a flexible finish. I use MaroccanOil strong flexible hold hairspray. ps. The hair straightener was gifted by GHD. 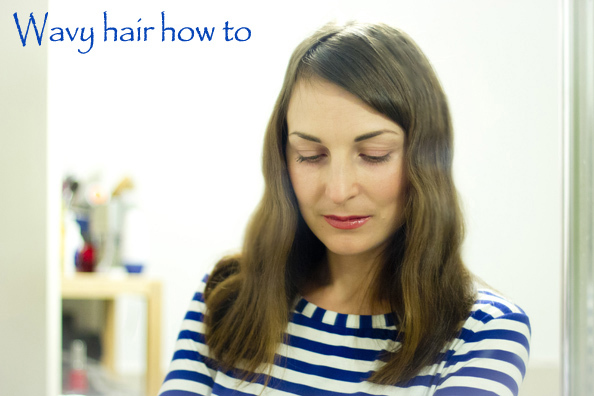 Looks much more modern than just plain stick-straight hair… it’s easier and still polished. Really suits you Maria! I wish I didn’t have wavy hair but straight hair HAHA. Much love from the SABO SPAM girls!